Rudolf the red-nosed Reindeer is an iconic Christmas character, sharing a great story about the reindeer that was overlooked, then saved the day! I love a good “under dog” story! 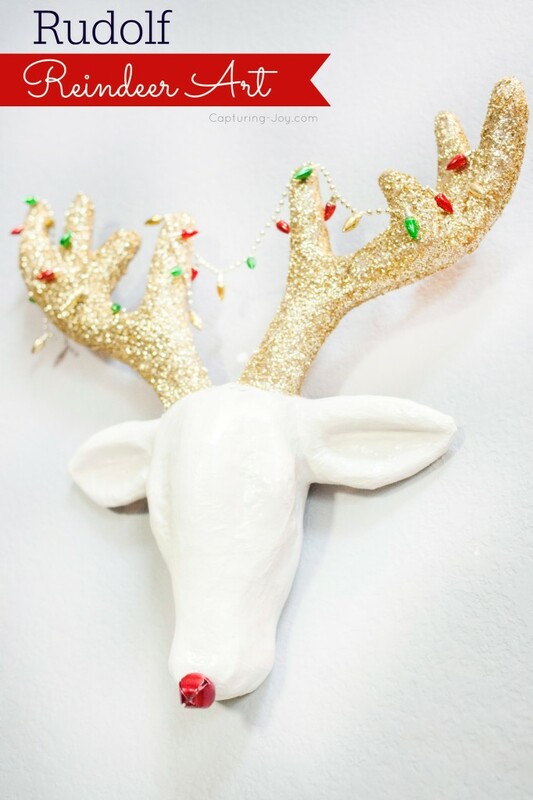 I found this adorable unfinished mache animal head at my local Michael’s craft store, and immediately though up this Rudolf Reindeer Art decoration for Christmas. 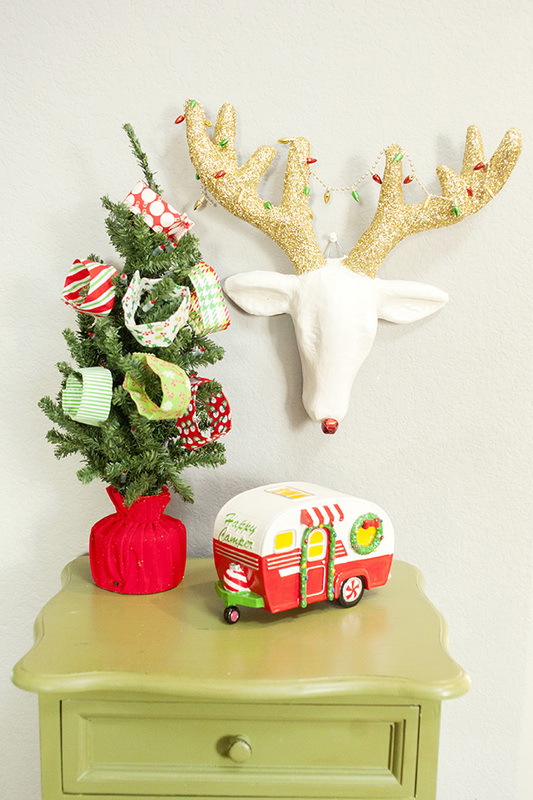 I shared this craft last week at Tatertots & Jello, I was SO happy with the response it got! You see, I don’t feel I’m quite as crafty as Jen and some of my other bloggy friends. I wish I were, I try, sometimes it’s a big failure, other times, it works out! 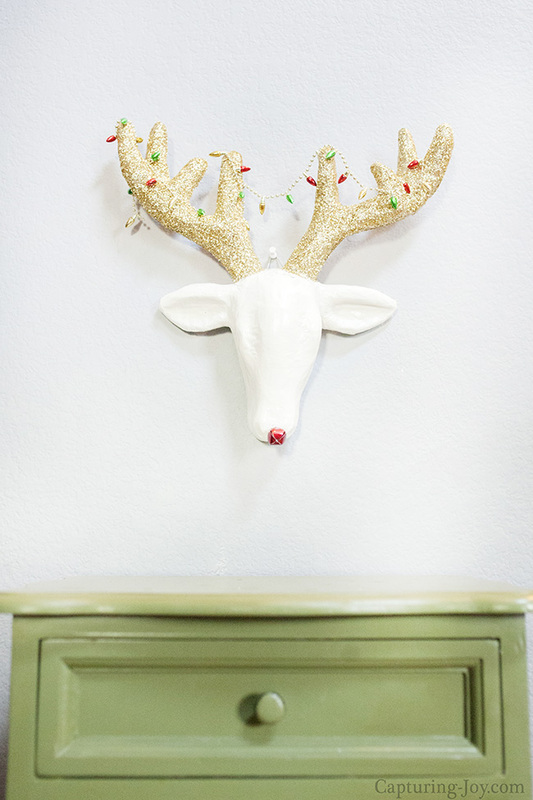 I am delighted to share my recent crafty adventure with my favorite reindeer, Rudolf! 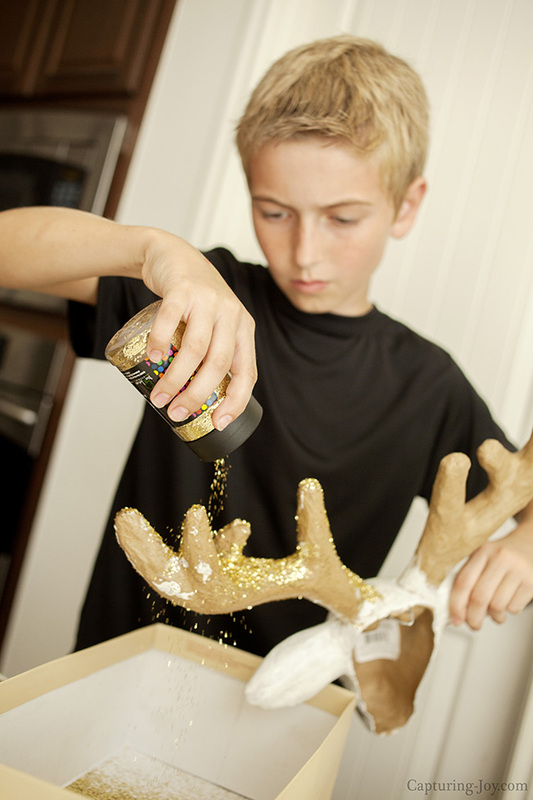 I then helped her spread mod podge all over the antlers, then we all took turns dumping glitter into every nook and cranny of the antlers. This is where my son helped his sister. What I love about working with glitter is that whatever doesn’t STICK to the project, falls into the box below, and can be used again! Once it dried, I sprayed a sealant cover, to reduce the glitter coming loose and falling off. I then used a little hot glue to attach the jingle bell to the tip of his nose. 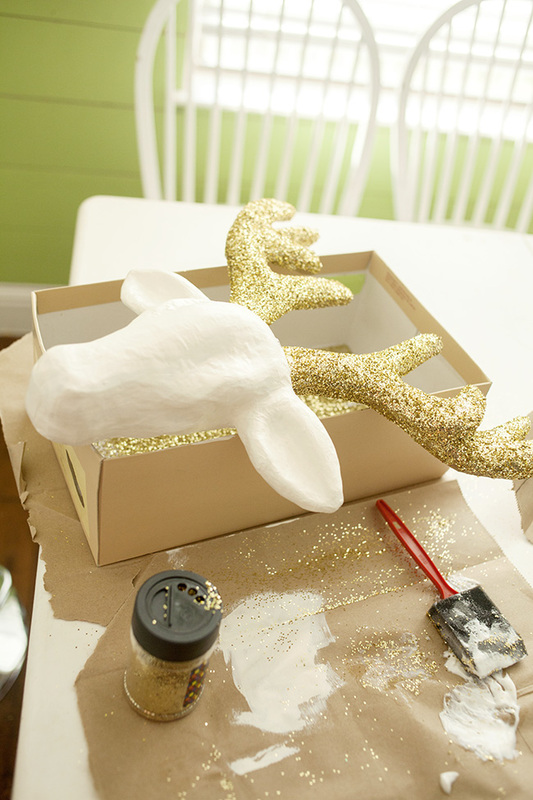 I then draped the light bulb strand across the antlers. I could have glued them, but I kept it off, in case I wanted the option of strand or no strand. 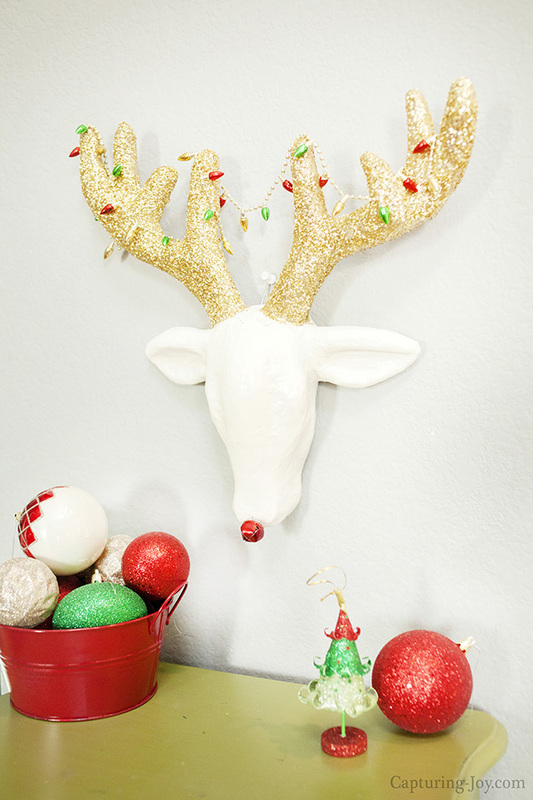 I think the strand was meant to wrap around a mini tree as if it was a garland, found in the Christmas section of Michaels along with the reindeer head. 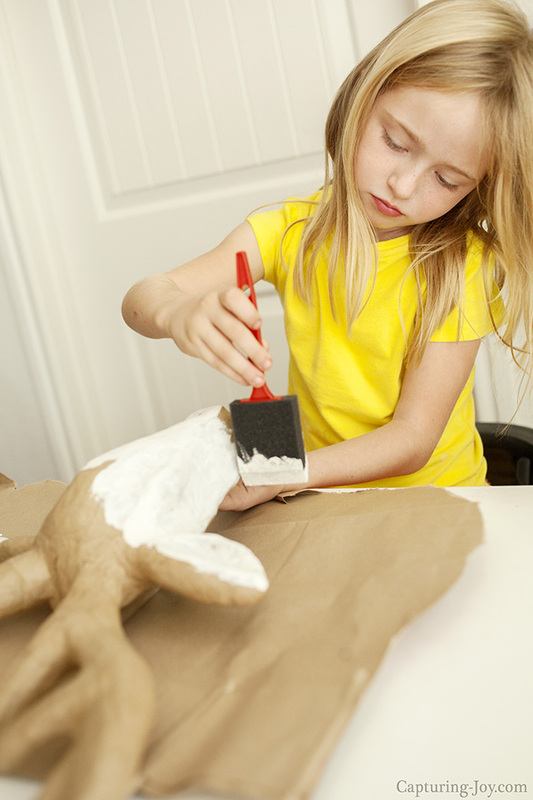 3-D animal art is so popular right now, this was a super simple crafty project even I can do! I appreciate the craft stores for giving us good “starters” for quick and easy decorations. Want more Christmas fun? 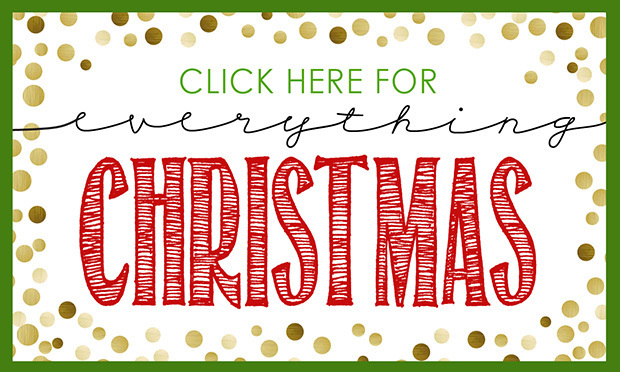 Here is EVERYTHING CHRISTMAS on my site. 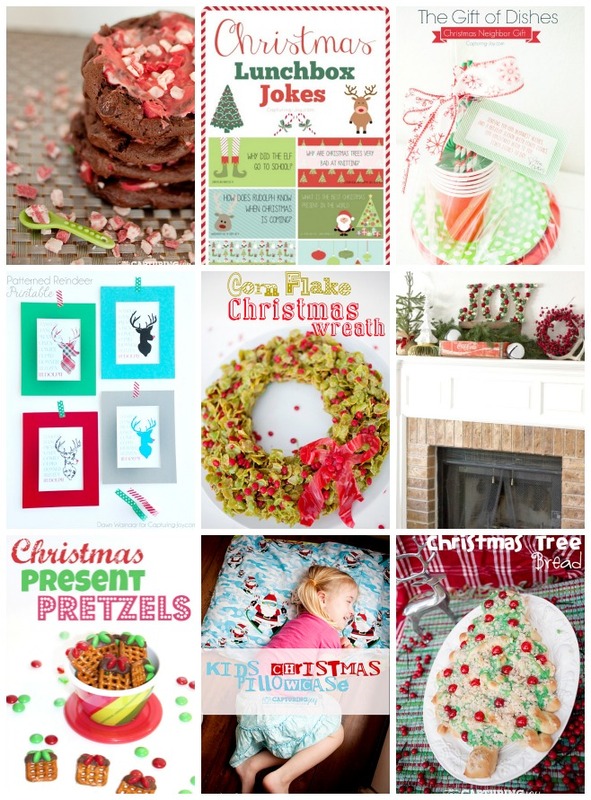 You might also enjoy following my Christmas Pinterest Board! 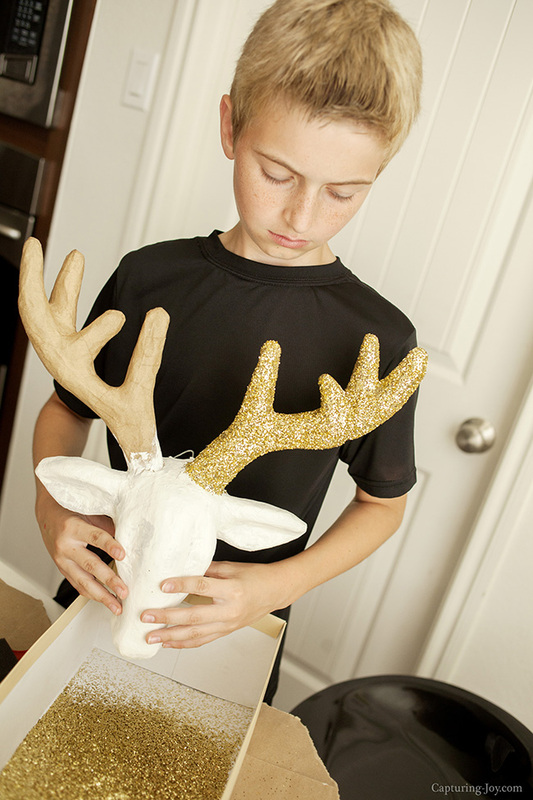 Follow Capturing Joy with Kristen Duke’s board Christmas on Pinterest.